Are you living in Europe and do you wanna go on a cool city trip? Or are you planning on going to Europe? Awesome! Just don’t forget to go to Liverpool, an unexpected nice city. Why I liked Liverpool so much? You’ll find out after reading my 9 reasons. Let’s start with the number one that surprised me the most: the buildings. I thought every city or town in the United Kingdom had ugly buildings (sorry UK!) but that’s definitely not true. The buildings are similar to the romantic ones in France or Italy and I never expected that. So if you like architecture, go to Liverpool! Cozy bistro’s, beautiful restaurants and some old bars: Liverpool has it all. Everywhere you go, you’ll find a nice place to have lunch or dinner. Or a drink. Ideal if you’re always hungry! Do you like shopping? Well, Liverpool is the right city for you. You can shop for days if you want to and all the famous stores are located here, like Victoria Secret, Calvin Klein, Bershka, Hollister and Urban Outfitters. Love it! Okay it’s not the most vibrant place of the city, but the harbour is definitely something that you have to see during your city trip. Check out some boats, have lunch and just walk around. Another aspect that I liked about the city is that everything is walkable. From the harbour it’s only a few minutes of walking to the most important shops. That’s perfect if you wanna go to your hotel to rest for a while. Liverpool is home of The Beatles, one of the most famous pop groups of all time. There’s a museum about The Beatles, which is really cool to visit. Their life stories are told from the beginning till the end and the way it’s told is very interesting as well. Definitely a must do! Liverpool is not just a city for music lovers and shop lovers, it’s also a city for soccer lovers. The stadium is located next to the harbour, so you really need to go there if you love this sport (so I didn’t go there). Do you love attractions? Great, because in this city there’s always a ferris wheel. Go for a ride to have a nice view over the city. Do this in the evening, when you see all the lights of the houses and the buildings in the dark. I don’t know what about you, but I love watching people. And Liverpool is full of girls that look like they have fallen in a jar of foundation. And they wear high heels and short or transparent dresses all day every day. Even in the morning when it’s raining outside. And no, most of them were not going to a party. 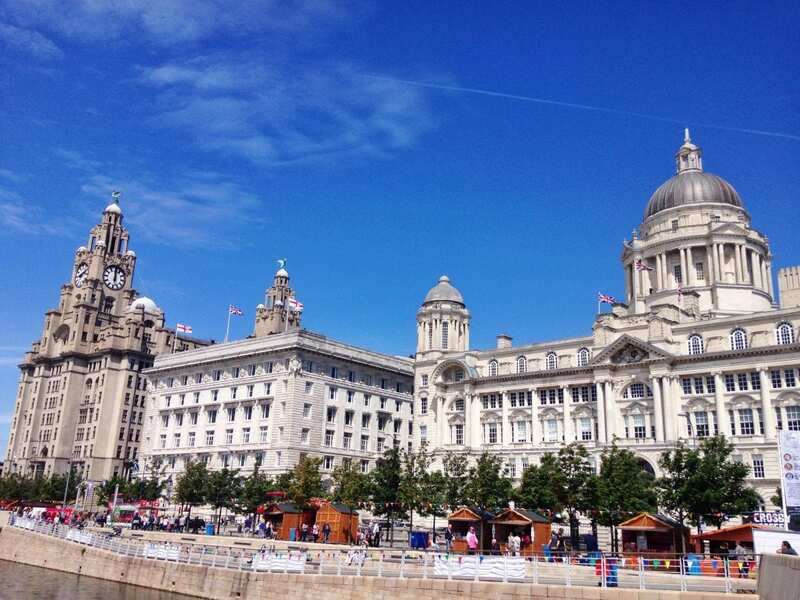 Have you ever been in Liverpool and did you like it? Let me know in a comment! Got only one in Dutch, oops!